After completing treatment, it is important to build new sober support systems. At Faith in Recovery, we make this easy with our alumni program. Those who complete our faith based recovery programs are connected to our alumni network of patients and supportive therapeutic teams. Our alumni program makes maintained sobriety fun, easy, and social. Alumni program members can connect with individuals in treatment from worldwide, nationwide, and city-specific recovery communities. A faith focused alumni program can help support your sustained sobriety. Our alumni program at Faith in Recovery combines fun, faith, and maintained sobriety. Our alumni program is comprised of individuals who are in recovery themselves. Our members have completed addiction treatment successfully, and they’re ready to help support you in your maintained sobriety post-treatment. Alumni programs allow patients to support one another in sustained sobriety, and they have fun while doing it! You are not alone when you’re part of an alumni program. Our programs at Faith in Recovery combine scripture and Biblical study into alumni support. Staying sober after completing treatment can be a challenge, especially in the early steps of reintegration back into routines. Heading back into the city or home where you used to use can result in many triggers that are tough to face. But when you’re part of our alumni program, you have a huge support system waiting for you at any stage in recovery. Joining an alumni program can help reduce your likelihood of relapse. With a faith centered approach to alumni programs, the risk of relapse decreases even further. Our programs incorporate faith into alumni support through celebrate recovery, fortifying sobriety even further. Whenever you feel lost in recovery, our alumni support team will be here to help you find your way! We’re always adding new local events to our alumni activities. These activities are designed to help make socialization in sobriety a fun activity! Finding fun things to do while sober and finding new sober friends shouldn’t feel like a chore. 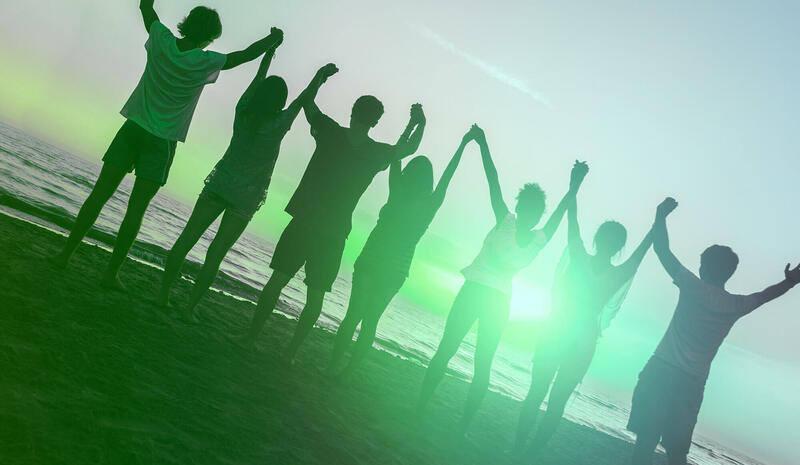 With our alumni program, you’re immediately connected to other newly sober individuals who are ready to enjoy fun sobriety in the community. At Faith in Recovery, we offer alumni support for patients who have completed our full treatment program. Whether you struggled with alcohol, drugs, or both, an alumni program can help you make sustained sobriety fun. Our programs are available after completion of residential, PHP, IOP, and OP programs. We have developed a wide variety of therapies and faith based treatment tracks to help patients successfully walk the road of recovery. If you are searching for a sober support group, drug treatment, or faith centered sobriety resources, we invite you to contact our team at Faith in Recovery. From initial treatment to alumni programs and far beyond, we are here to help support sobriety through faith centered treatment approaches. We address addiction, alcoholism, and more with our faith focused approaches to patient care. Our alumni programs can help support continued sobriety and reduce relapse risks. Contact our Faith in Recovery team today to learn more about how our alumni program can help you or a loved one stick with sobriety.